Usage of the “Verhagen trolley” within your logistics chain to make us of additional transport capacity up to a height of 280 cm. We ensure sufficient availability with your trading partners based on your daily delivery volumes. 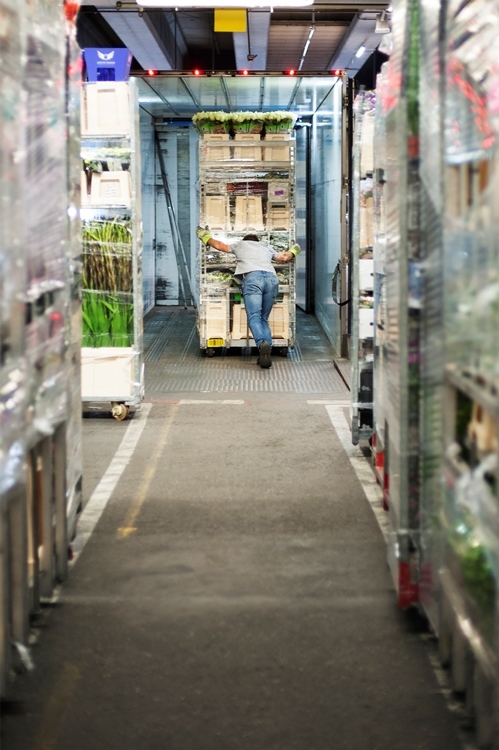 We handle all common load carriers and cut flower equipment including return logistics, balance management, weekly balance reconciliations and respective financial settlement with the auctions where we deliver to in your name. Access to our online booking system Re-Track for your order management based on your individual client codes. Weekly reconciliations and invoice correspondence via email. Track and Trace of your orders with direct mails to the contact person within your organisation at points of loading, unloading and return of empties. In all mails we include pictures of your goods for improved quality assurance. Competent personal contact in English, German and Dutch. For further information about our air freight cargo setup please contact us directly. "Efficiency and high quality are our main values!" You can reach us from Monday till Friday between 8.00u and 17.00u on the following telephone number: +31 (0)297 892 500.